Pull tight security seals are very strong and reliable. 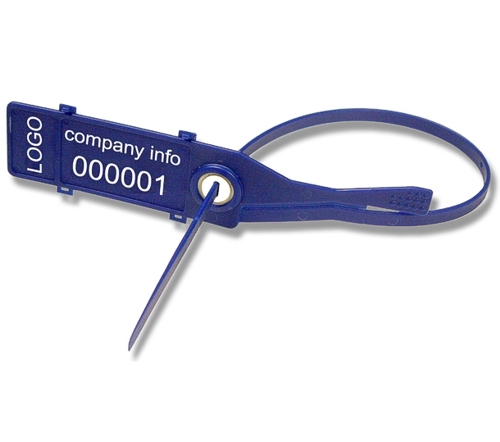 A sequential number printed as an option for tamper evidence & customer logo also available. Smooth insert tail with metal locking teeth for extra grip. Used for cashbags, cages and trolleys. Tear line facility making it faster and easier to detach from application.